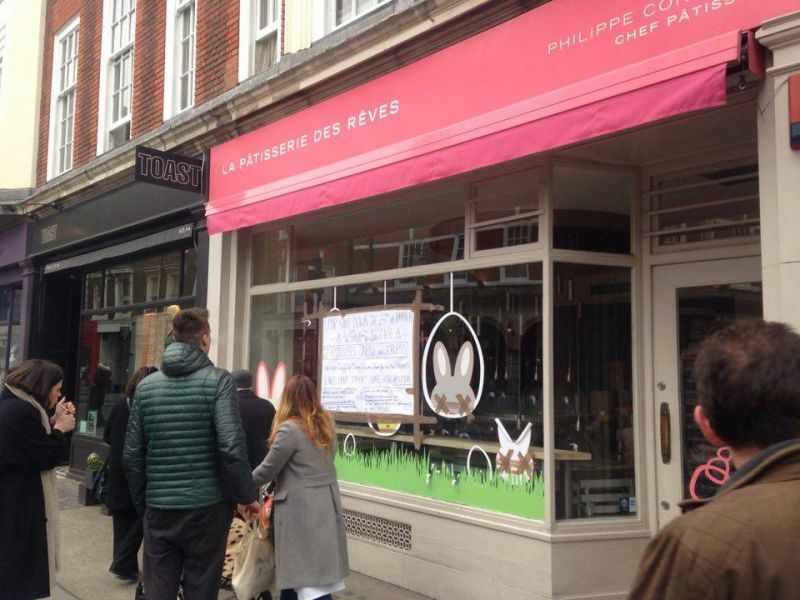 The two London shops of La Pâtisserie des Rêves shut down on 23 March. The 22 staff members were laid off within a few days and did not receive their March salaries. How did La Pâtisserie des Rêves and its employees end up in such an uncomfortable situation? Some of the former employees and the CEO of the company Thierry Teyssier agreed to answer our questions. Founded in 2009 by pastry chef Philippe Conticini and entrepreneur Thierry Teyssier, La Pâtisserie des Rêves – literally “The Patisserie of Dreams” - is driven by the ambition to “bring children back to pâtisserie”. Paris-Brests, Saint Honorés, tartes au citron, madeleines… the company’s menu was designed to revisit the great classics of French pâtisserie. Three years after its creation, the company opened two shops in London: one in Marylebone and one in South Kensington – which also comprised a tea room. The income generated by the two London shops did not meet the company’s expectations: the shop in Marylebone was taking a week to make the daily profit of Paris’s main shop. As a result, the French company regularly had to inject money into the British operation, which progressively led it into financial difficulty: “The two London shops had been on a drip for months”, explains Thierry Teyssier. A few weeks ago, the French company was going through a judicial review, which meant that it was no longer able to send money to the UK. Consequently, the British bank refused to extend the overdarft the company's account. On 23 March, the 22 London-based staff members were told that the two London shops would close after the Easter weekend. On 24 March, they did not receive their salaries and decided to walk out. Over the Easter weekend, all perishable goods were removed by the management and sent back to France. 24 March The employees do not receive their salaries and decide to walk out. What explains the company's failure in the UK? "When we arrived on the British market, we had to create a baking facility separately from the two shops, which was not the case in our other countries and which significantly increased our costs", explains Thierry Teyssier. "In addition, our fixed costs were very high, mainly because of London rents", he adds. "Unfortunately, fresh baking is also a very fragile business, in which there are almost more reasons to fail than to succeed”, he concludes. Another reason is probably the strong differences between French and British market habits and attitudes for pâtisserie. For instance, it is pretty common, in France, to bring pâtisseries when you are invited for dinner, which is not the case in the UK. In addition, over the past few years, numerous French patisseries have opened in London, and the market is already very competitive. “An administrator will be appointed by the bank, and he will get in touch with the employees“, explains Thierry Teyssier. “But British employment legislation also has a dark side: the dismissed staff members may have to wait for a few weeks before receiving their last month’s salaries, whereas the payment could have been made within a few days only in France”, he explains, regretting the “difficult circumstances” into which his former staff members have been placed. The 22 bakers, sales assistants and managers are unhappy about the way they have been treated by the company, "to which they had become very attached". "All we knew was that there would be changes within the coming months, and that the company was looking for investors", explains one of the former staff members Aurelia Cabot. "But we had no idea we could be losing our jobs within a few days". Most of us are young French people, who came to London to try our luck", she explains. "After a couple of years spent in the British capital, we are having to start all over again", she adds. Moved by a "strong feeling of injustice", the former employees consider "the French management owes them an explanation" and are calling for the boycott of La Pâtisserie des Rêves all over the world. They may struggle to win their case, as they were not strictly within their rights to walk out. I went once to the one in south kensington it was so far the best pastries i've ate in London unfortunatly the second time ive been was already closed down. It's sad that Patisserie des rêves had struggle over here.. Anyway it's stays one of the best for me. 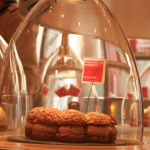 The best patisseries I'd come across in London. A real shame. True lost of London. I am really not a fan for seemingly the main-stream cupcake shops around London. 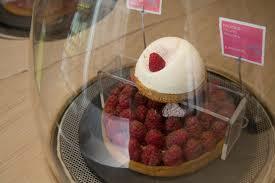 La Pâtisserie des Rêves is among the very few I have tried and feel the beauty of patisserie. I walked in their shop once, saw the price, walked out. I could and should have said months ago, when I discovered the place in Marylebone, that it was never going to last. There are not too many reasons why they went bust: their products were vastly overpriced and of a very average quality. At the end of the day, the customers are always right. Poor devils. That is what living in Britain is like. You would be looked after in France, if you had a job.